The tax is calculated as 10% of the purchase price of the home, with the maximum benefit being $8,000 ($80,000 x 10% = $8,000). 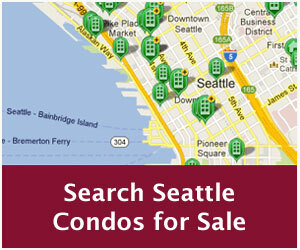 It’s safe to say, virtually every condo purchase in the greater Seattle area will be eligible for the tax credit. 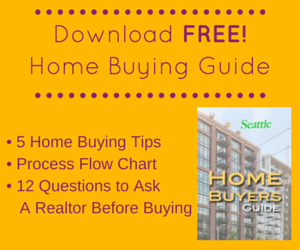 Is there a time period to purchase a house or condo? Yes. The property must be purchased, that is closed, between January 1, 2009 and November 30, 2009.
Who qualifies as a first-time home/condo buyer? Anyone who has not held an ownership interest in real property as a principal residence for the past three years from the date of purchase. Any condo, townhome or single family home that is a principal residence. A principal residence is where an individual spends the majority of their time (50% or more). Additionally, properties may not have been purchased from a spouse or relative. No. However, if the property is sold within 36 months of purchase the credit will be recaptured. This is to prevent flipping. Yes. The income limit for individuals is $75,000 and for married couples it’s $150,000. However, a partial credit is available to individuals earning up to $95,000 and couples earning up to $175,000. You simply complete IRS Form 5405 with your tax return filing. For more detailed information about the tax credit contact us directly or download our tax credit info packet (PDF). The Washington State legislature recently approved a measure that will provide first-time home buyers the ability to access the credit at the time of purchase rather than waiting until they file their tax return. This will allow buyers to use the $8,000 towards a down payment or closing costs. In essence, buyers will be able to obtain an $8,000 loan at the time of purchase that would be paid back after filing their tax return and receiving the credit from the federal government. The Washington State measure has been signed into law, thereby, clearing the way to “monetize” the credit at closing. Unfortunately, it has run into an issue with the IRS. The state measure would have the tax credit paid directly to the bridge loan provider, which is against IRS rules. HUD also recently approved monetizing the tax credit for FHA-insured mortgages. However, this is a little tricky. For FHA mortgages originated through government agencies (e.g. Washington State Housing Finance Commission) or non-profits, the tax credit can be applied directly to the 3.5% FHA down payment requirement. For loans originated through other FHA-approved lenders (e.g. banks, mortgage brokers), the tax credit can only be applied to down payment over and above the initial 3.5% amount or towards closing costs.